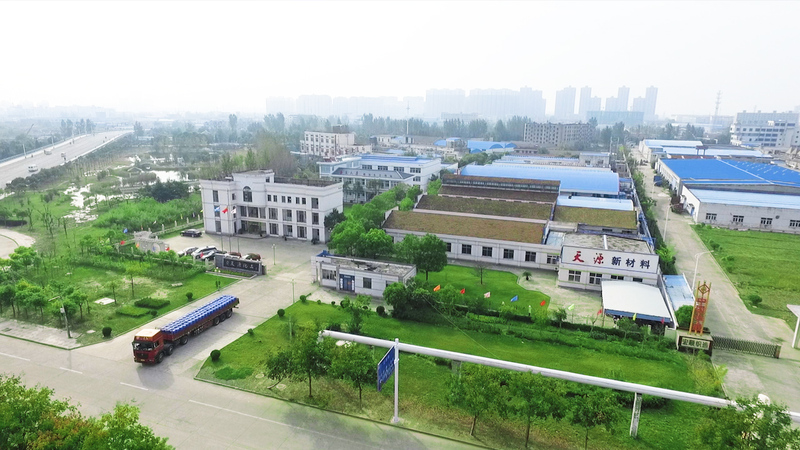 射阳天源化工有限公司Tianyuan Chemical Industry Co., Ltd.
Sheyang Tianyuan Chemical Co., Ltd. was founded in Sheyang Economic Development Zone, Jiangsu Province, in 2002. It is a national high-tech enterprise that engages in researching, developing, manufacturing and marketing textile printing and dyeing auxiliaries, surfactants, plant gums, leather auxiliaries, and other products. The company has thousands of varieties that can be divided into eight series including silicon oil, pretreatment auxiliary, dyeing auxiliary, after treatment auxiliary, printing auxiliary, functional finishing agent, leather auxiliaries and chemical fiber oil. Our products are widely used in textile, printing and dyeing, dyestuff, pharmaceutical, food and other fields. Based on favorable quality and perfect service, our products are sold well in Chin as well as in international markets such as Indonesia, Bengal, India, Turkey, Spain, Malaysia, Vietnam, Pakistan, Guatemala, and so forth, and they are highly praised by clients at home and abroad. Carrying on the further research with experts at home and abroad, the company has established favorable cooperation relations with several colleges and universities such as Nanjing University, East China University of Science and Technology and etc. And we established postgraduate workstation with Nanjing University in 2013. Our company has independently developed more than ten national invention patents and developed high-tech products. Furthermore, the company passed the ISO9001 Quality Management System Certification, ISO14001 Environmental Management System Certification and Intertek environmental protection test in the early days, which laid solid foundation for sustainable development of the enterprise. Tianyuan strives to offer the clients best service experience by excellent products and perfect services. We would like to cooperate with friends of all circles based on mutual benefit for creating a more brilliant future.